Good for you taking a break, and letting it all go, breathe, and then, when you feel ready again, concentrate and focus on what matters the most . I had the same process in a way, first of all I fell in love with "backyard" weddings, but of course, we do not have a backyard, let alone one that could hold some 80 people. Also no rustic farm.... And then, there were the mismatched assorted china and old hand painted tins, and yes, mason jars. But that sh** is expensive. It annoyed me that all these pretended cheap and pretended DIY weddings, were in fact not as cheap, or I was looking at the wrong places (never found cheap antiques, to date, not that it is relevant). Anyway, like you say, your weddinh day will be memorable because you will be overjoyed by the outpour of love, by having your friends, family, and the one you chose to BE your family all together in one place. But, just a tip, when you are ready to take back the craftiness, if you really like the effect of glass bottles... which, I can't deny it's dreamy, just have a look at Ikea, if there is one around your home. 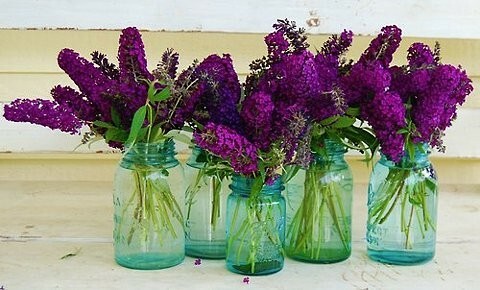 Or think of using transparent soda bottles, even dark brown beer bottles can be pretty I think, or jam jars ? 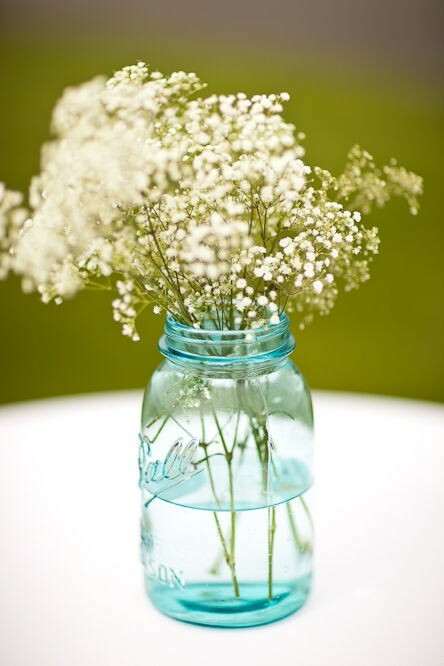 In case you still had an interest in mason jars again, I am doing blue mason jars for my wedding as well. I was surprised at the prices as well so I searched high and low for a good deal and I found some on Etsy as low $4.80 each for quart jars and $6.80 each for pint jars, depending on how many you want to buy. Thanks for the link! Those jars are definitely more affordable than what I've seen elsewhere. I actually decided to still go with mason jars, but I decided it's ok for me if they are not blue. So I just bought a bunch at Kmart, for less than a dollar each.